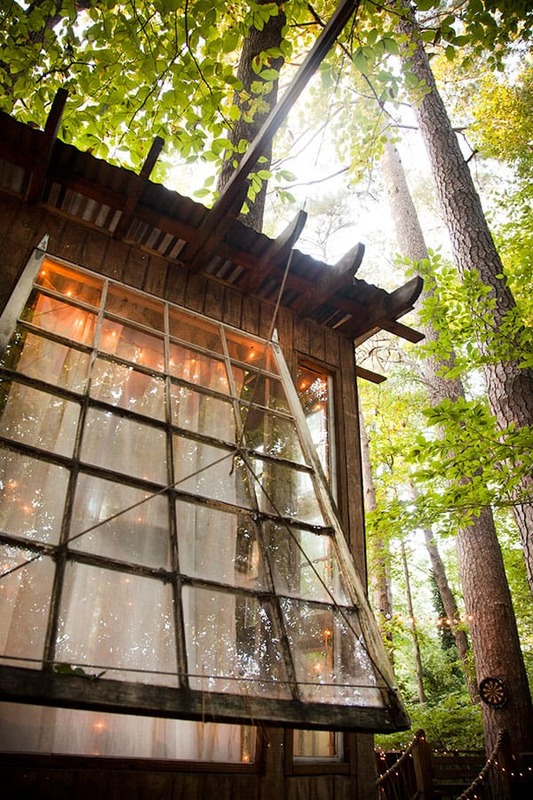 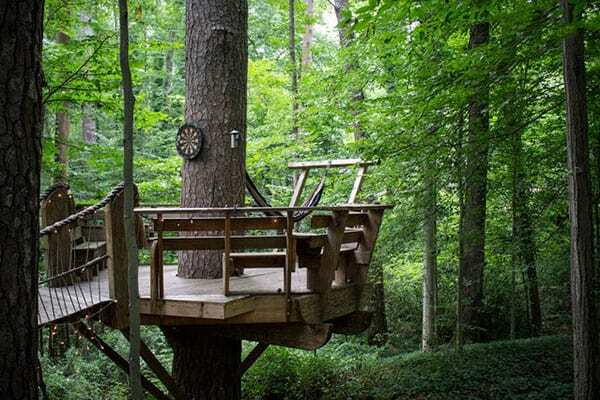 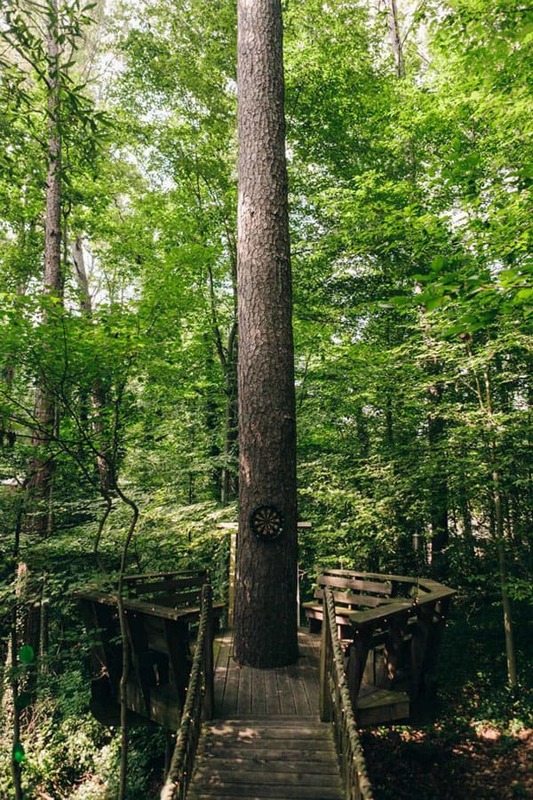 A one-of-a-kind experience, this treehouse in the forest was built by a couple in a secluded town of Buckhead, a district of Atlanta, wishing to fulfill a childhood dream. 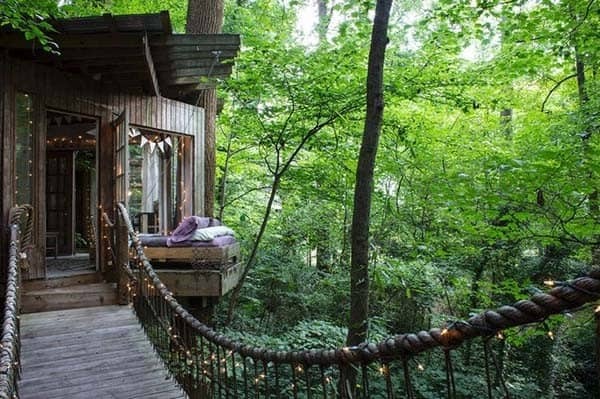 The couple own a glass facaded modern dwelling next door, purchasing the vacant site next to them to construct the tree houses on. 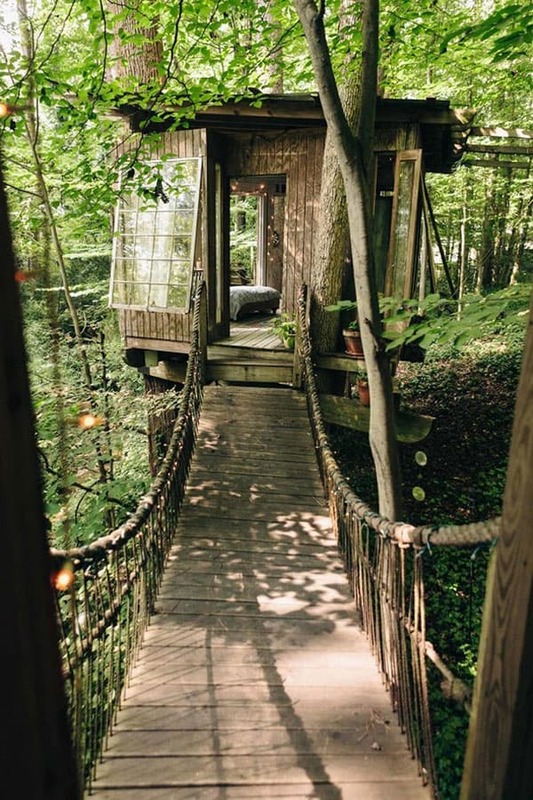 The owners, Katie and Peter, built a series of three connected treehouse rooms, joined by rope suspension bridges. 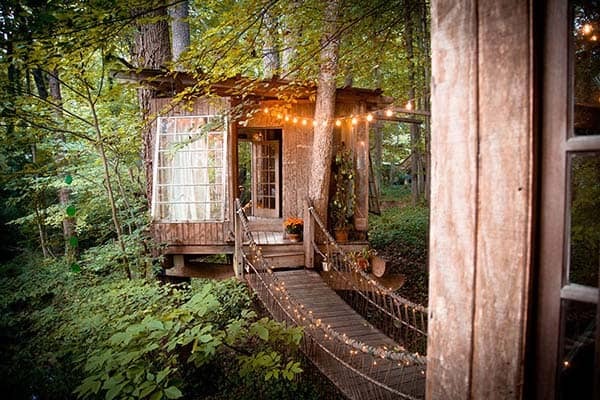 One of them is a living room, spacious enough to seat six, another is a bedroom which has a platform bed which slides out to feel like you are immersed in the tree canopy. 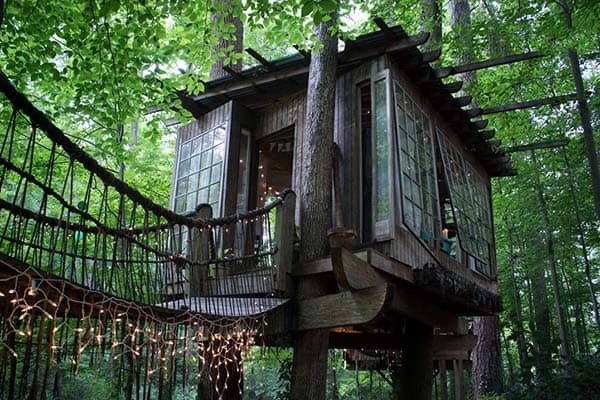 The third treehouse hosts a deck which encompasses a hammock and enough space to seat ten people. 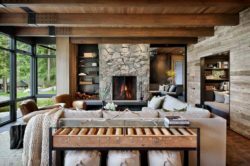 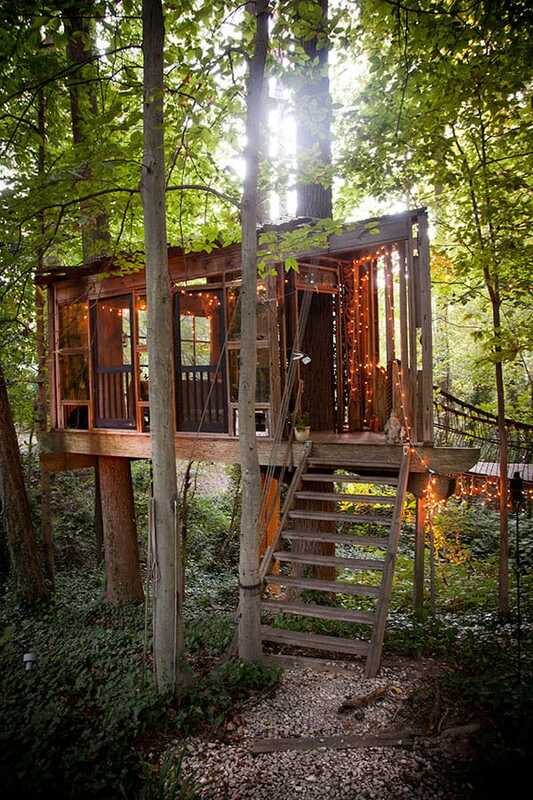 Peter is an environmentalist, so his love of nature and childhood forts inspired the design, which took seven months to complete. 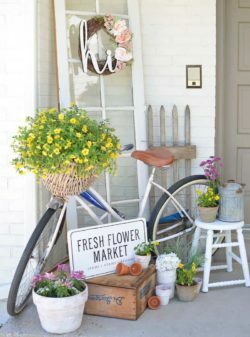 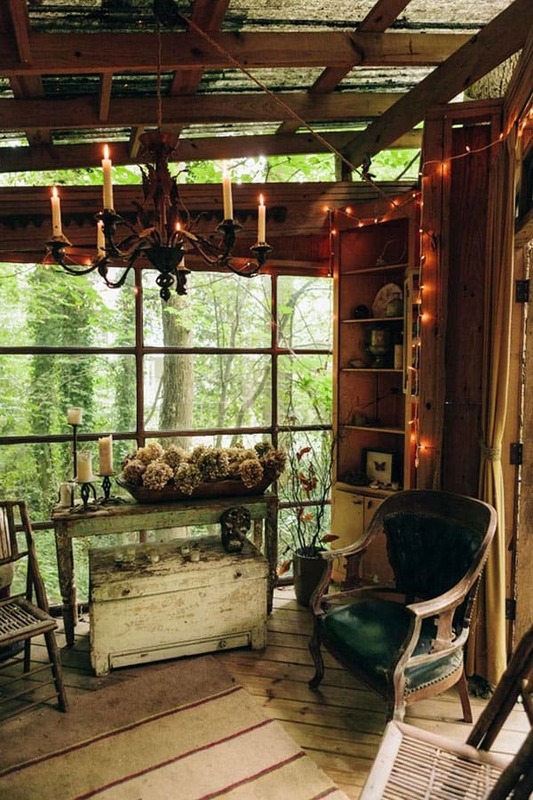 Set amongst lush greenery, the houses are comprised mainly of spare lumber and old windows picked up from antique stores. 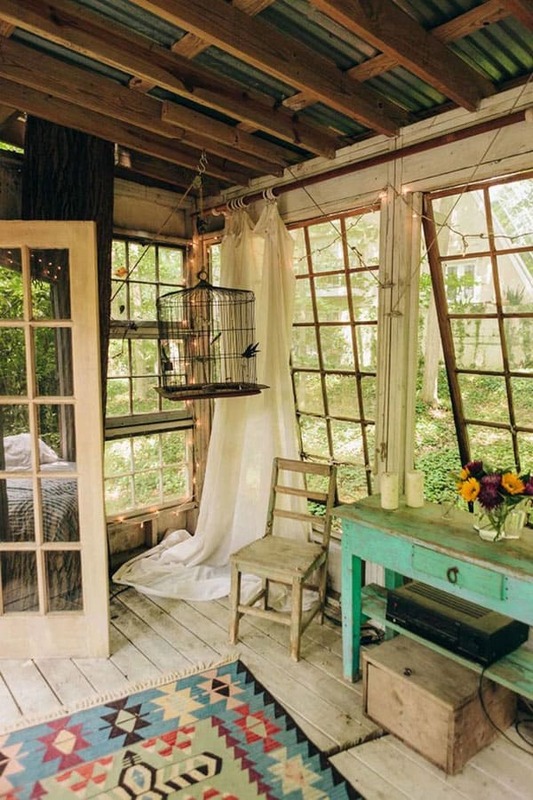 Each room has been nicely furnished with antiques, natural artifacts and of course, the peaceful sounds of nature that surround you. 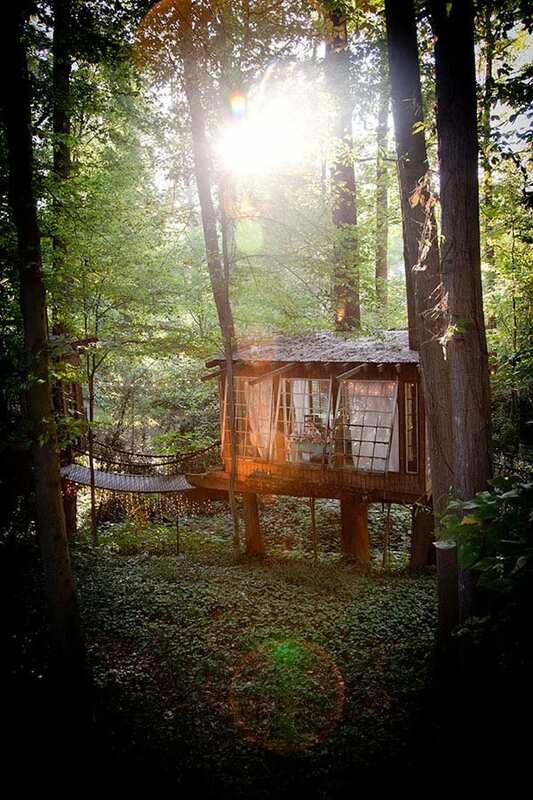 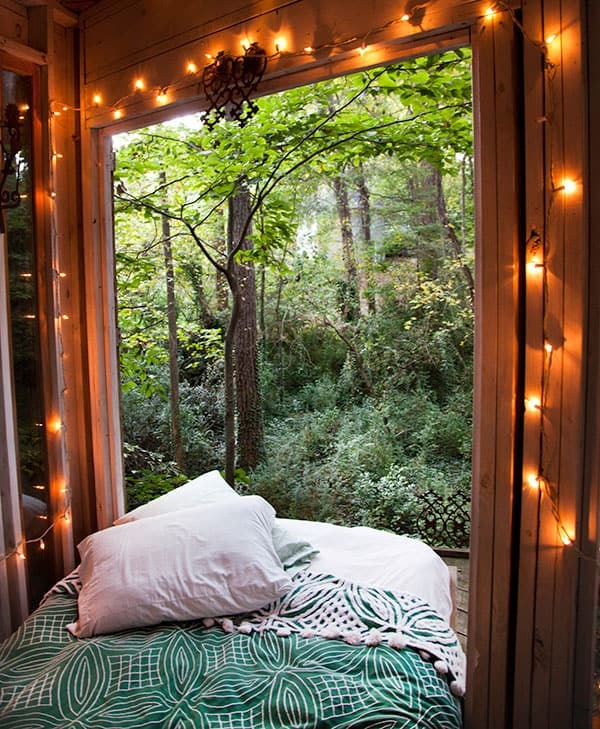 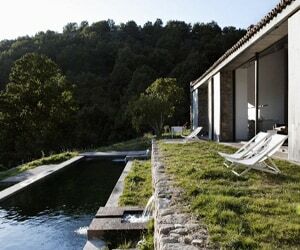 Could you image a more relaxing retreat than falling asleep in the trees and waking up to the chirping of birds? 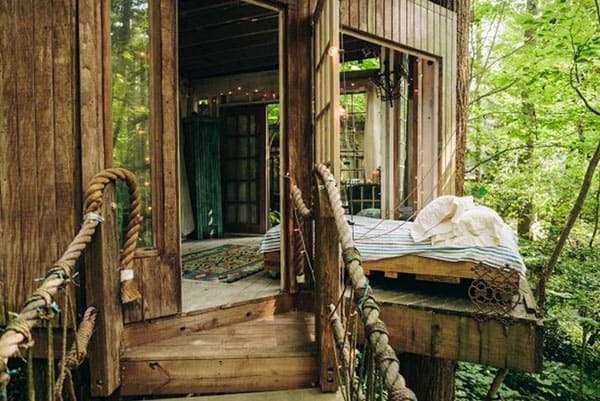 This treehouse dream getaway awaits you for an unforgettable experience, available for rent at $350 USD/night from here. 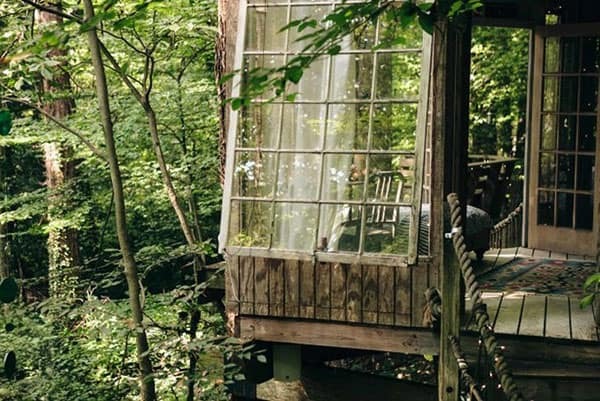 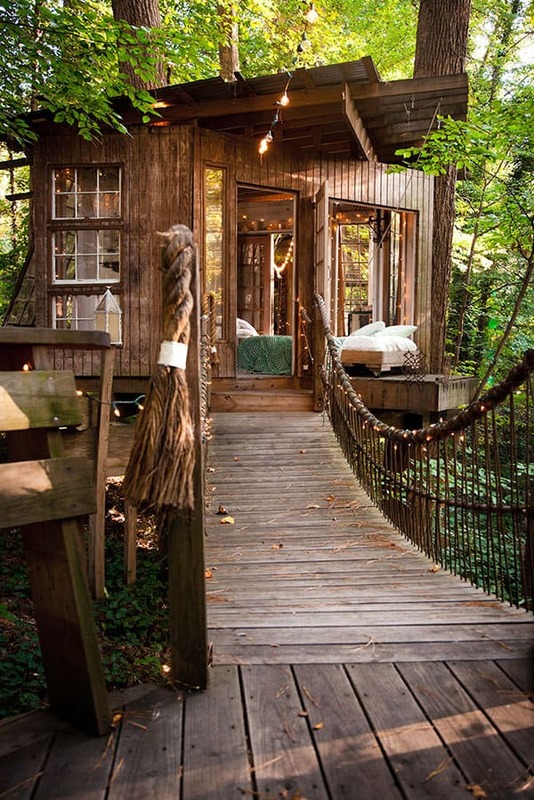 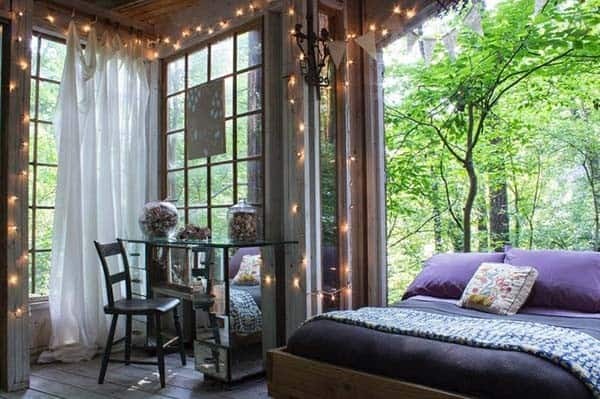 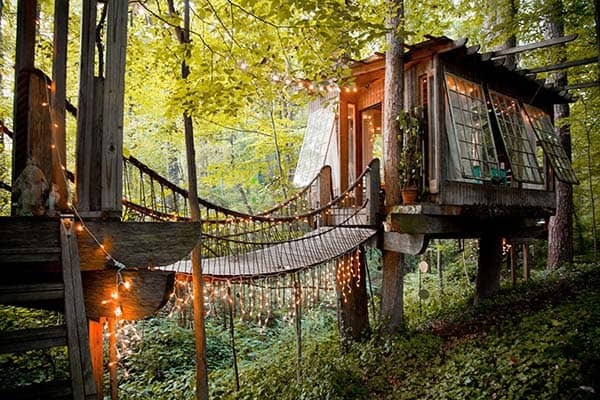 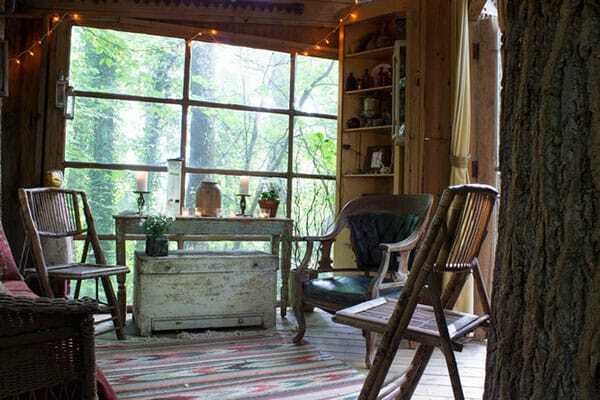 Want more treehouse inspiration? 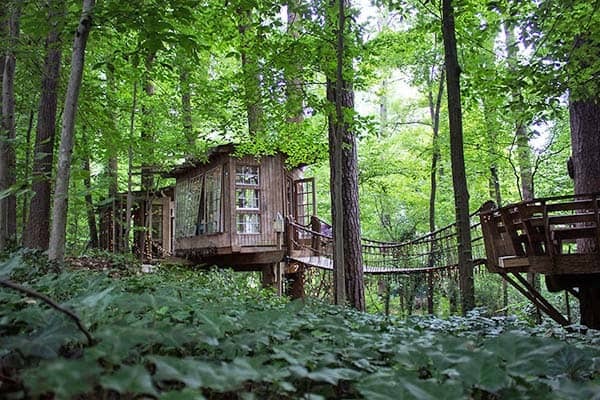 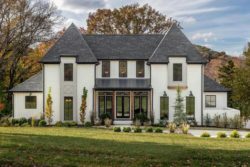 We have featured several here on 1 Kindesign, have a look: Whimsical treetop sanctuary on Crystal River and Magical treehouse within a fairytale garden. 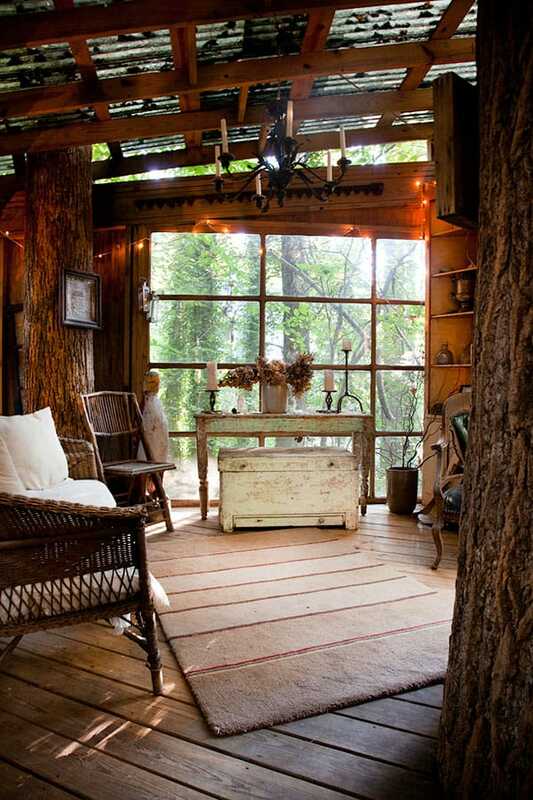 Cool and can tell you both are craftspeople which like myself I was built cabin at Tahoe when I was 22 yrs old and now still have it and just done remodeling some room and will add third restroom( full) this fall and it’s in forest too I’m thinking about add some treehouse around cabin !